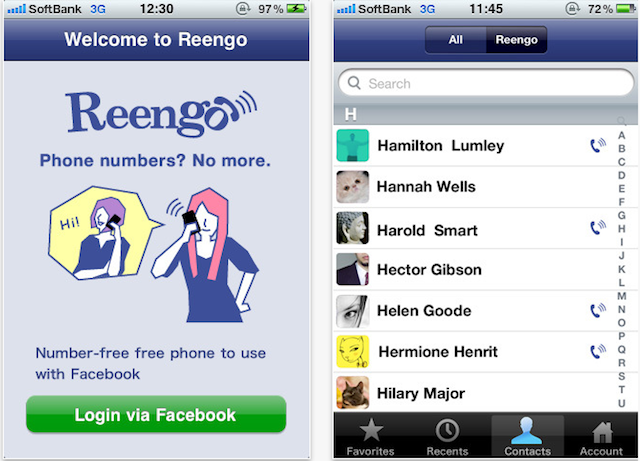 A Japanese web planning company, KAYAC, has released a FREE iPhone app called Reengo that allows FREE phone calls using 3G or WiFi network connections. There are already similar and popular services such as Skype and Viper. For now, it’s downloadable only from the Japanese iTunes store, but soon it will be released around the world. Also, the Android version will enter the field shortly. Eventually calls will be possible between iPhone and Android users. According to the source article, the sound quality is quite good. If the number of Reengo users increases, it will be very useful and convenient (^^)v.